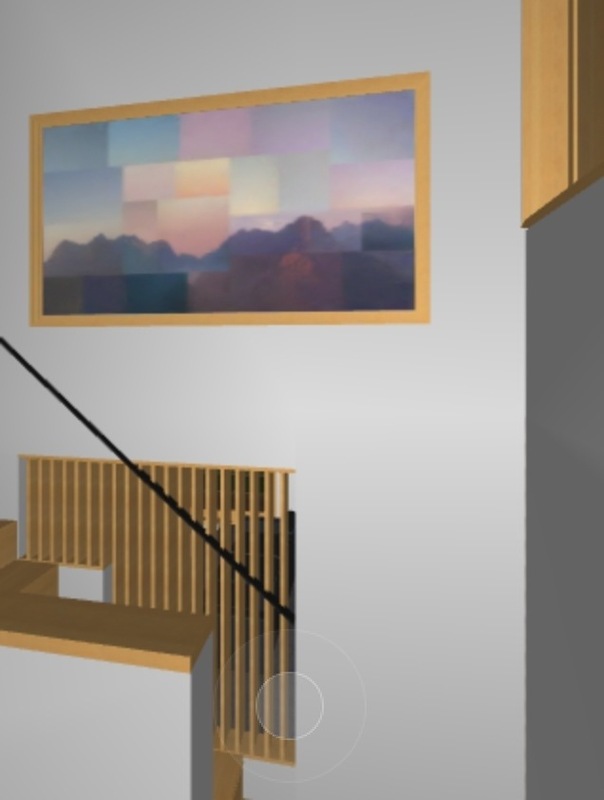 I’ve got virtual art in my virtual house! 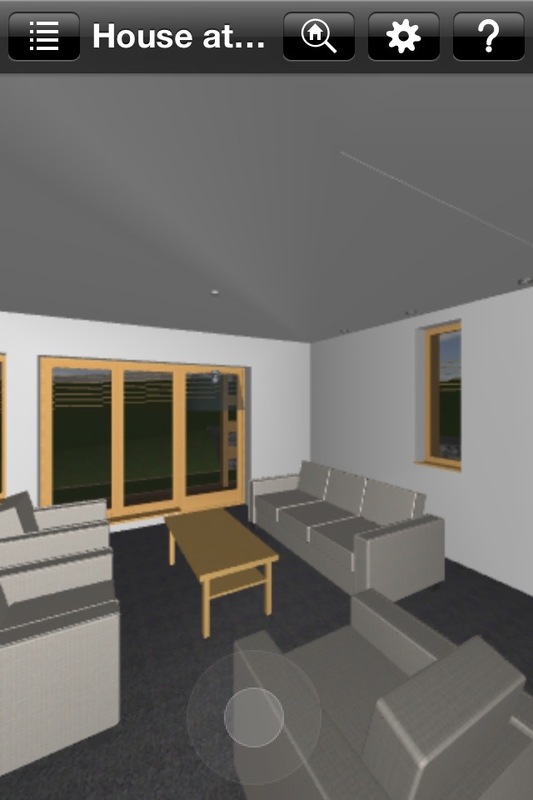 No sooner had I posted a blog about the possibilities of a virtual art exhibition in my house than Scott had upgraded the BIMx model of the house and, in the doing, added in some of my artist friend’s work. And here are some stills from the model. Don’t they look nice. I’ll need to see whether there’s a way of putting the interactive model online so we can be the host venue for Geoff’s latest exhibition on mountain and sea-scapes. I was having a drink with an artist friend last night and, as I have been doing lately when meeting someone I haven’t seen in a while, I whipped out my phone to show him round the 3D model of the house at Cuil Bay. Apart from being amazed at the tidiness of the place and the lack of clutter (why do people always comment on this?) Geoff was concerned by all the blank space on the walls. 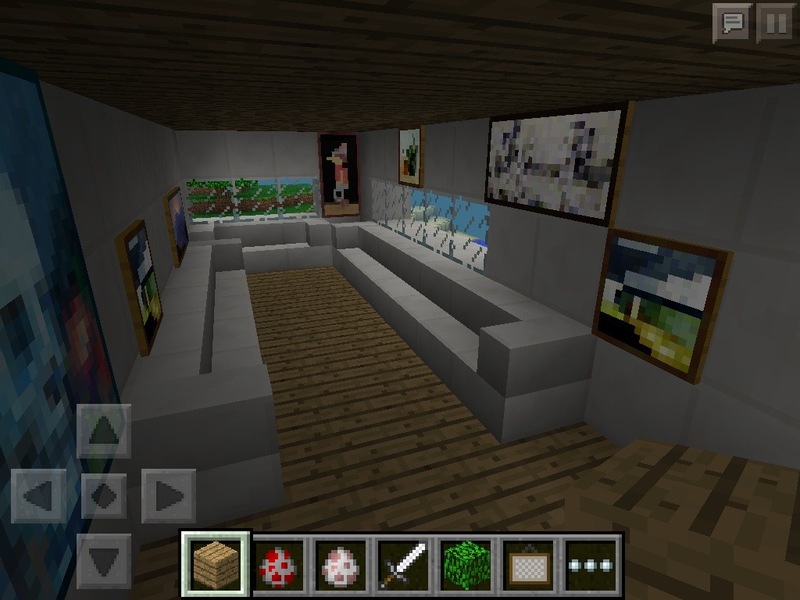 When the children made the minecraft version of the House at Cuil Bay they hung pictures on the walls (skull and crossbones seemed to figure prominently) and even made the entrance to the en suite behind a large picture, Harry Potter style. 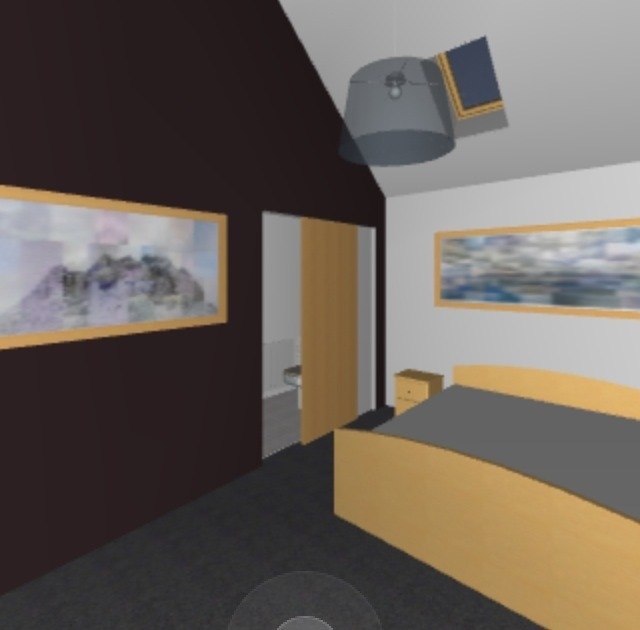 Geoff suggested that he should have his next exhibition in my virtual house. His landscapes, collages of imaginary mountains made up from photos of many different Scottish mountains would sit well in a virtual house. A picture of a mountain that doesn’t exist, exhibited in a house that doesn’t exist (yet). Geoff’s latest series will include both mountain-scapes and sea-scapes and the setting of Cuil, set between sea loch, and mountain seems a fitting venue. After our evening’s discussions, I am now beginning to wonder whether this would actually be possible. 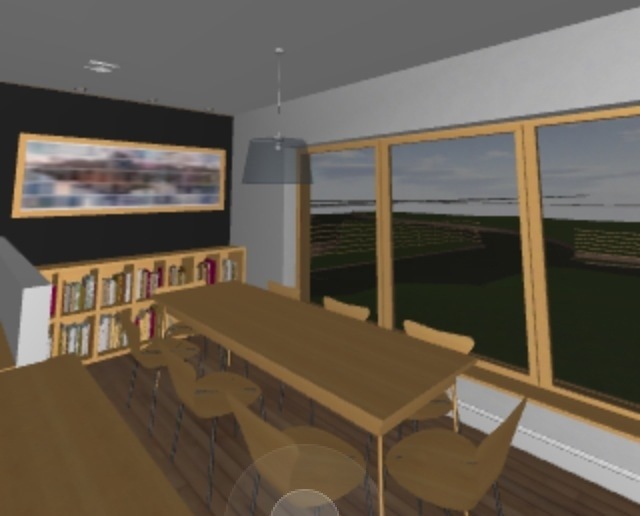 Graphisoft, who produce the walk-through design software for architects saw the blog I did previously and their marketing department have been in touch. Perhaps they would like to help facilitate a virtual art exhibition in the House at Cuil Bay. I got a chance to go into our new house for the first time this week. 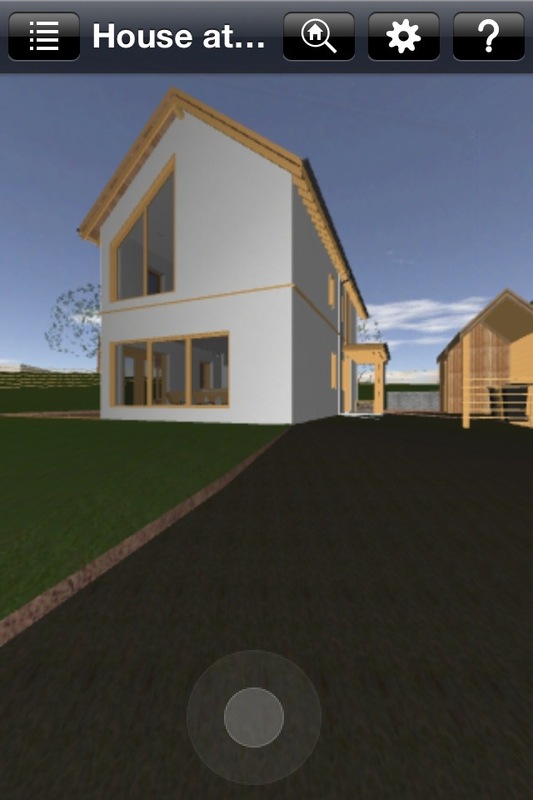 No, there hasn’t been a sudden miracle and we have gone straight from planning to fully constructed house in a couple of weeks, I have just been walking through a 3D model of the house on my smartphone. I walked in the door, up the stairs and then straight out of the landing window and into mid-air. Until now Scott and Matt, have been able to wander at will through a virtual House at Cuil Bay using their fancy architect software on their fancy architect computers in their fancy architect office, while I have been bending my head around pdfs of plans and stills from the software. 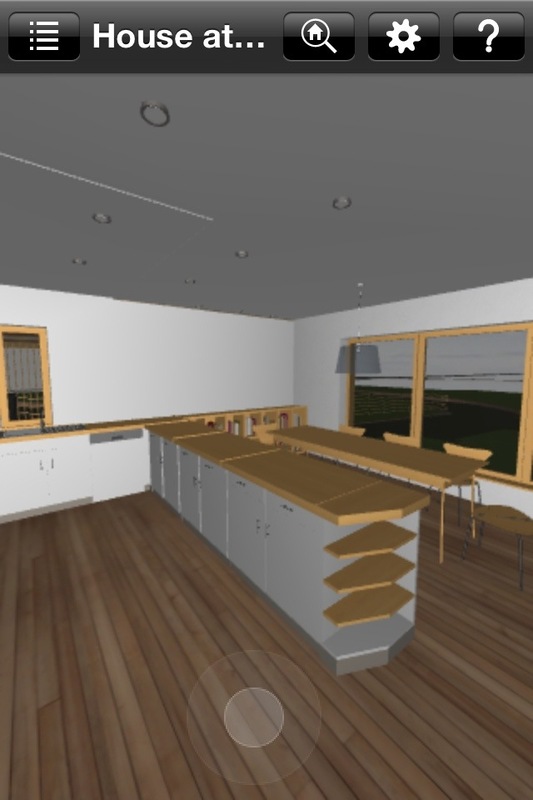 Given my 3D visualisation is probably far less developed than that of an architect, I am utterly delighted to now have this virtual walk-through House at Cuil Bay on my very own iphone. I can wander from bedroom to en-suite bathroom, then down to the kitchen/dining room to gaze, dewy-eyed at the view. I can even levitate onto the ceiling to see what a room looks like from above and then pass effortlessly through the floor and end up under the bed in the room above. The architects (did I tell you they were wonderful?) have used Graphisoft BIMx software to do this and all it took was for me to download the app, save the file they sent me and set out on my virtual explore. It is totally gobsmackingly fantastic and even has a very gratifying thudding action as you walk up stairs. 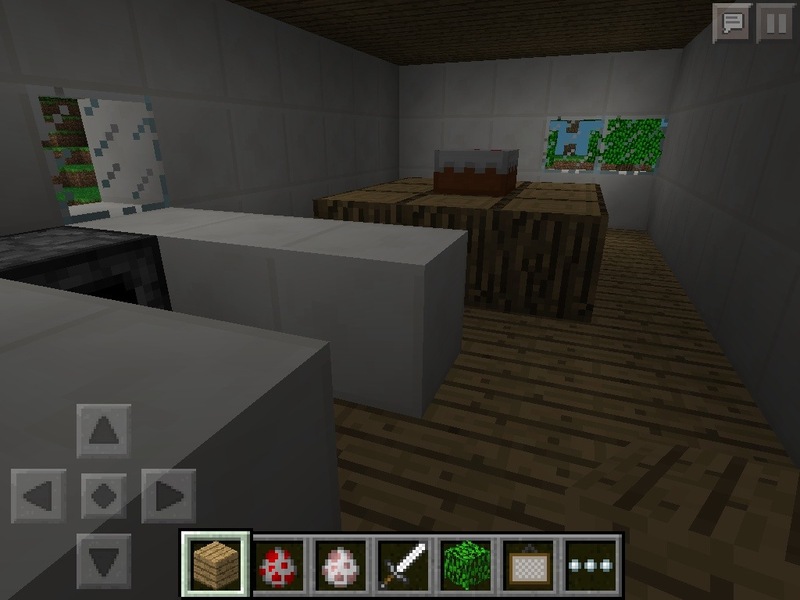 Just as I was getting excited about the walk-through model, the children were getting excited about minecraft, a kids’ computer game where you mine for resources and create cities. They have built swimming pools and high rise blocks, one with a full farm on the roof of the 10th storey. And, not to let the architects get ahead, now they are building our house. 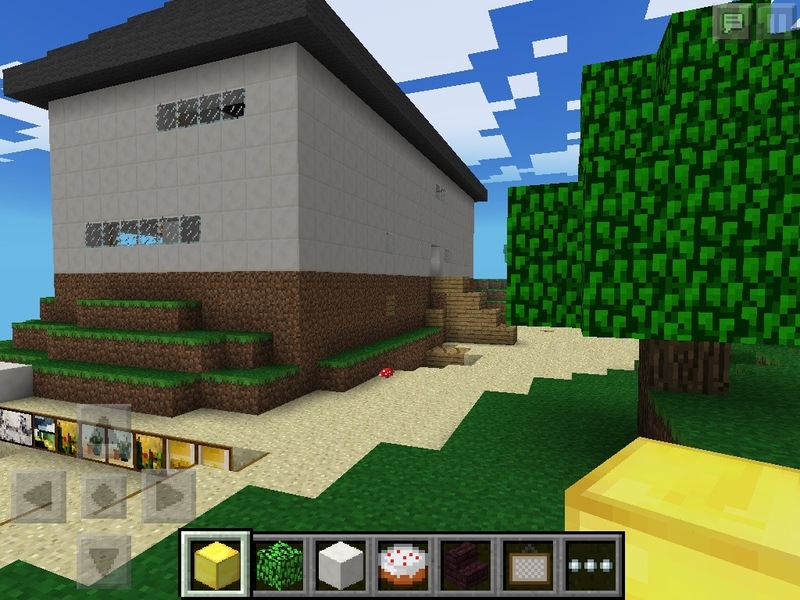 In contrast with many computer games minecraft has none of the CGI effects and smooth outlines, it is simply a land created from cubic blocks of various materials. These materials include diamond, ruby, quartz, wool, hedging, but not, apparently, harling, or slate. It turns out that minecraft wasn’t created with West coast of Scotland construction techniques in mind. The priority appears to be making your house Zombie proof. Not something I am expecting to be an issue in Cuil Bay. I certainly didn’t put it in the spec. The lack of appropriate building materials didn’t, of course, put the children off their project, ‘Should I build the white walls from quartz or wool?’ they asked. I put this to Scott who recommended quartz on the basis that, according to the minecraft wiki, both were classed as blast proof but that quartz was less flammable. The look might be rough and homemade but they have managed to create a walk-through model pretty similar to the professional one (if you ignore the rough edges and improvised fixtures and fittings – a furnace instead of a cooker, more quartz blocks for sofas). They have had trouble installing the stairs: you have to climb over the bottom step to reach the kitchen and they resorted to a ladder to get up the last bit, but I am rather impressed. I think that it might even have impressed the architects. I’ve put a couple of screen grabs from the architects design (and from the rookie architects too) on the blog to give you a bit of an idea. However these can’t possibly communicate the full joy of this wonderful virtual house of mine. I keep wanting to wander about in it, spin round in bathrooms, and fly 100m into the air above and orbit the house like a planet. Now that’s something I wouldn’t be able to do with a real house.